Data is from the October 2017 Sailthru report titled "Decoding Personalization." 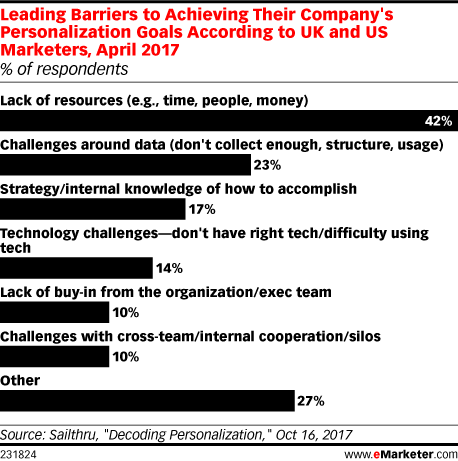 146 UK and US marketers in the commerce, publishing and retail industries were surveyed during April 2017. Sailthru aggregates and analyzes user data sets for companies to create personalized customer experiences.